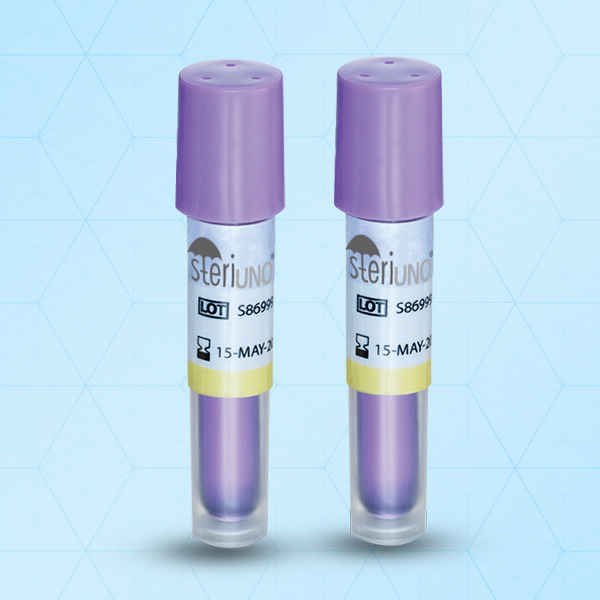 SteriUNO® Self-Contained Biological Indicators for monitoring steam sterilization processes provides fast, Visible, Consistent result of effective Sterilization Processing. It reduces time of incubator of 24 hours. It Is Complaint with ISO 11138-1 & 11138-3. It reduces the possibility of contamination. Due to small size 9mm X 50mm, designed to fit in challenging Sterilization areas.